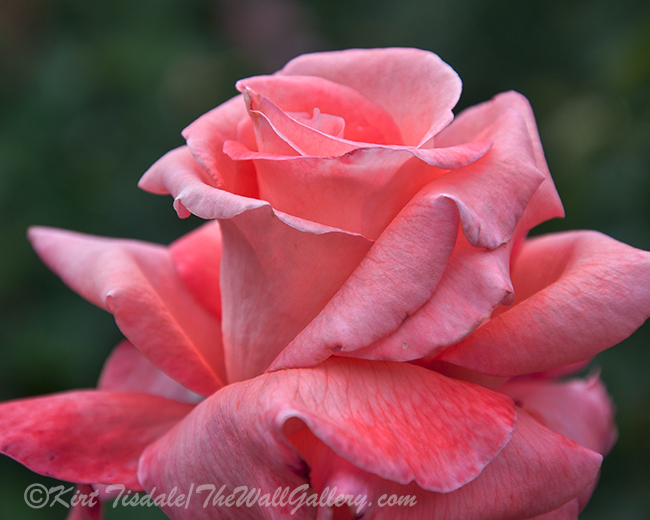 I love taking macro photographic shots of rose buds and blooms. The colors, texture, etc. create such beautiful visual imagery. 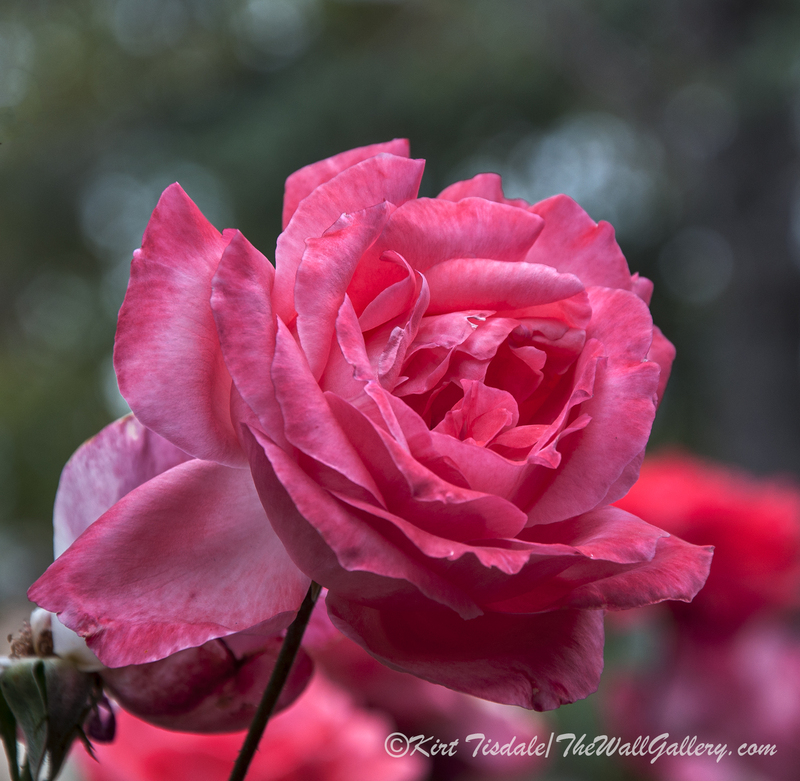 Today, I wanted to feature a softer take on rose blooms and then explain how I created them by taking a step back through the process I use to create this type of digital art. I have used Adobe Photoshop for years….probably since it first came out. I remember taking classes from the University of San Diego on how to get the most out of it from an artist perspective. Trust me, it was many years and many versions ago. What I love about the program is the ability to do layers for each of the steps I go through. 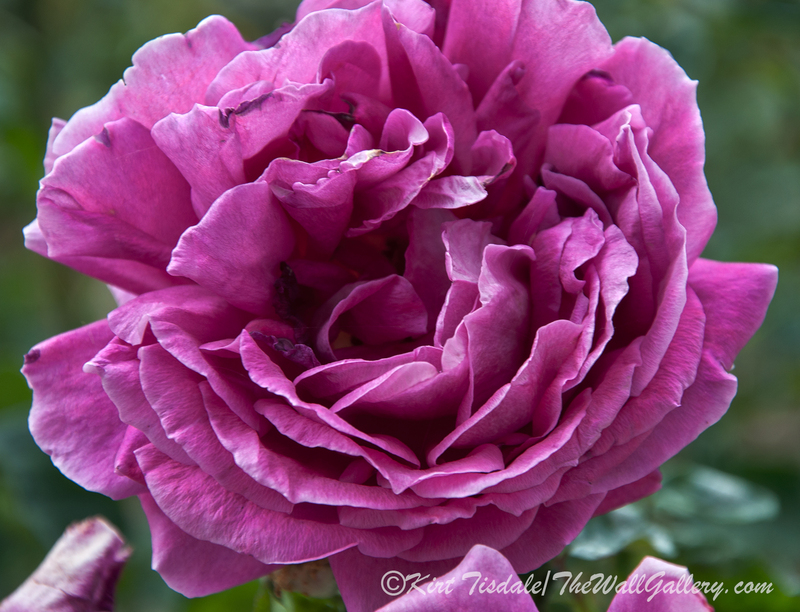 These roses are a great example of the process, so I will walk you through a simplified version of it. 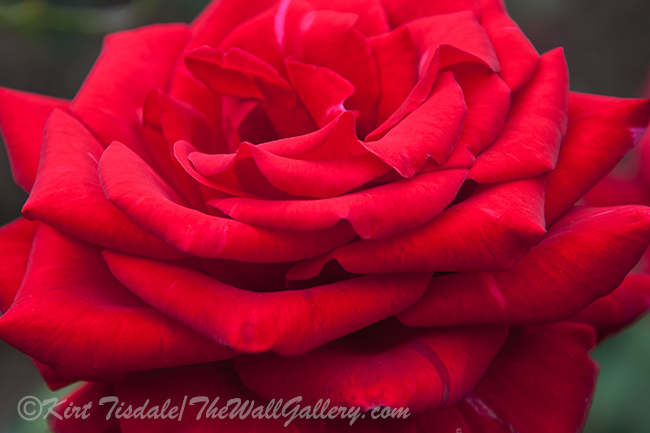 I start with my macro photography of the rose bloom as the background layer. I then open an empty layer on top of it and using an ink stroke tool (Photoshop), draw the edges and shapes I want to highlight in black. Then I create another layer and pick a digital brush style I like (the brush style I picked here creates an almost air brush look..soft edges). 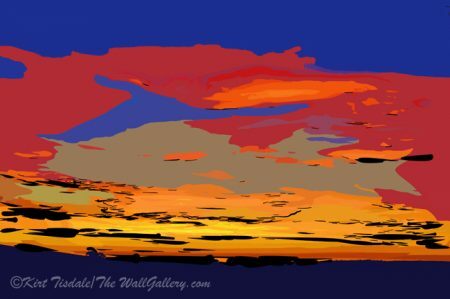 On the blank layer I paint larger areas of colors by painting over the photograph if you will. The large areas of similar colors create the abstract look. 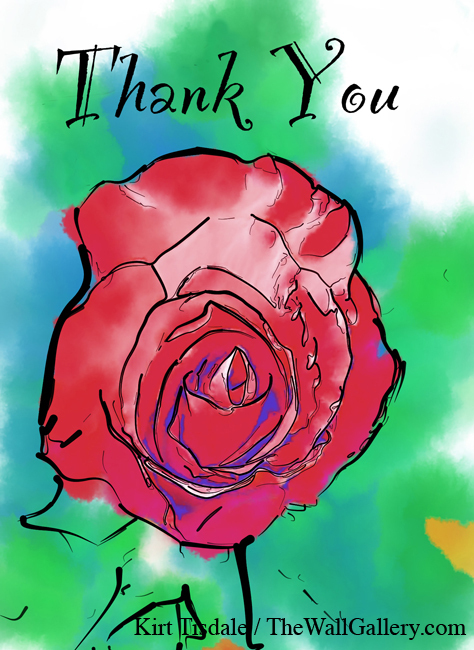 I then move the “ink stroke layer” to the top of the layers, eliminate the bottom photograph, merge the layers and the end result is what you are looking at (simplified version as I actually open many laters typically for each color tone). 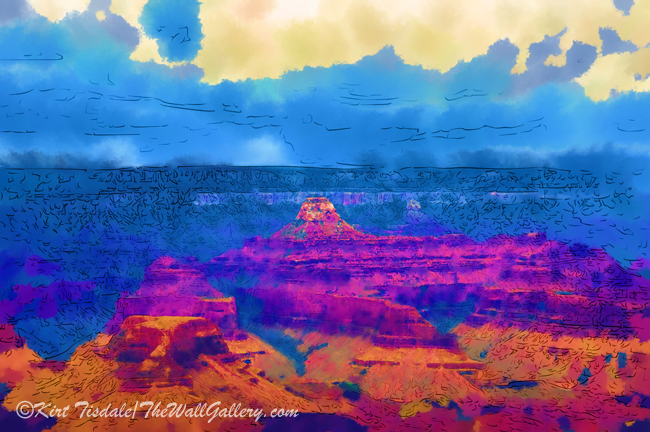 I also would like to mention that for the painting layer, there are numerous programs out there that can take your photograph and turn it into just about any style of painting. I use these programs in cases where I want to keep the detail of the photograph and am looking for more 3-D brush strokes as you would see in oil paintings. Even in that scenario, I come back in and work the resulting art print with some of the detail I described here. This is a quick and simple walk through of my process that in actuality is very tedious and for every print I publish, five to seven are trashed by me for not liking the end result. 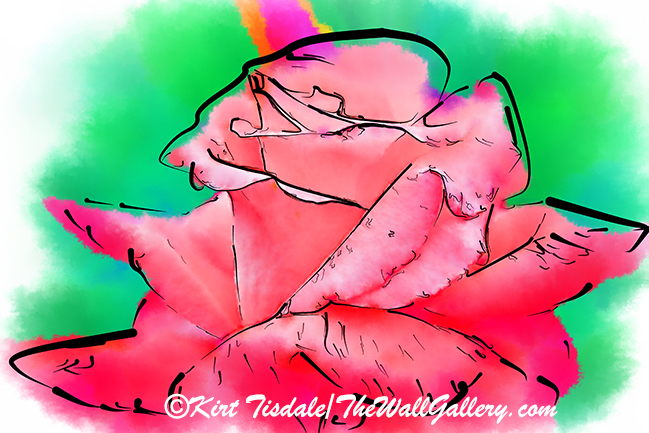 This entry was posted in Abstract Watercolors and tagged abstract art prints, artist kirt tisdale, digital art, flowers, interior design, online art gallery, roses, watercolor on June 22, 2018 by Kirt D Tisdale. 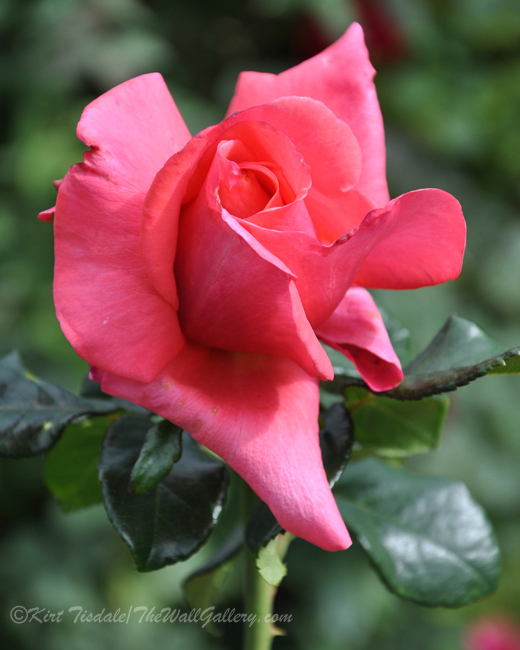 Having just spent some time in Los Angeles with our granddaughter while Mom and Dad were away, I was reminded of just how beautiful rose blooms were right now in that part of the country. 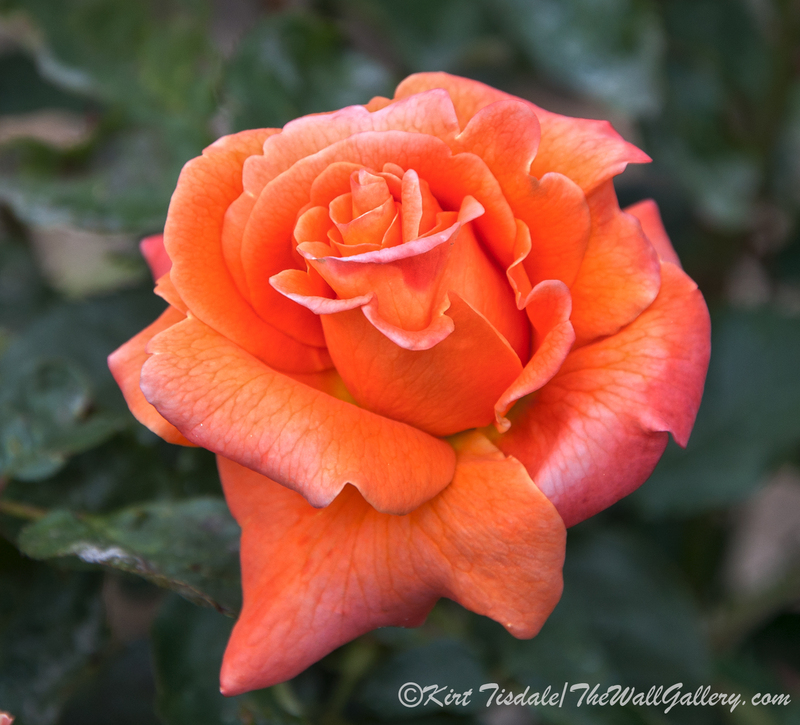 Our daughter and her husband have beautiful flower gardens surrounding their house and I have featured some of their flowers on this blog. With that inspiring me, I have attached five macro shots I have taken from two different photo shoots. 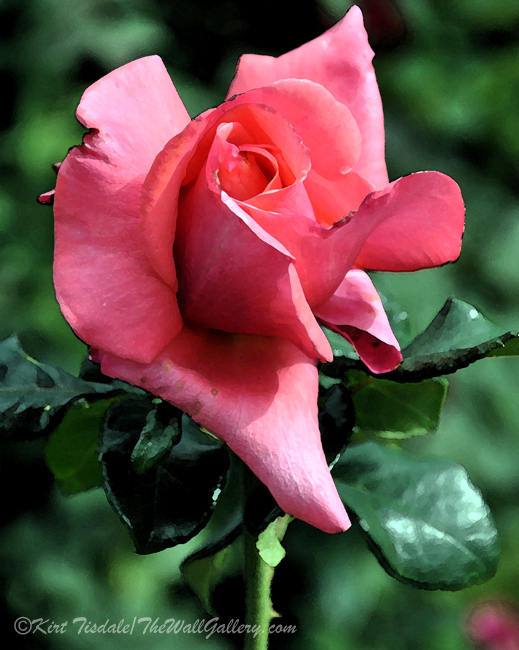 This first one is from a public garden in Portland, Oregon. 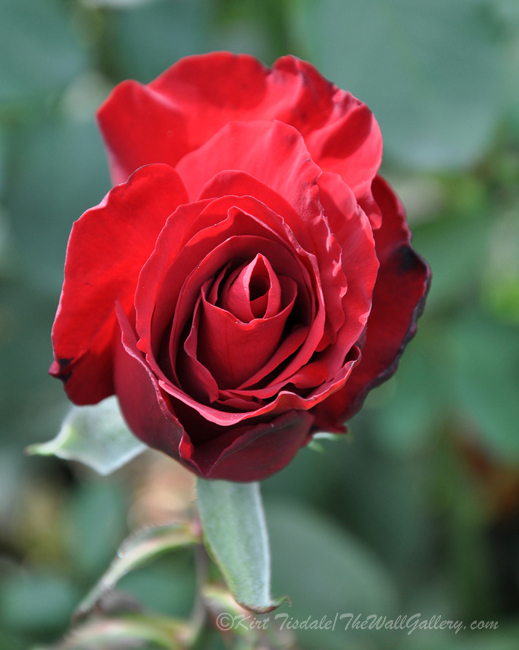 This deep red rose bud was just starting to open up. 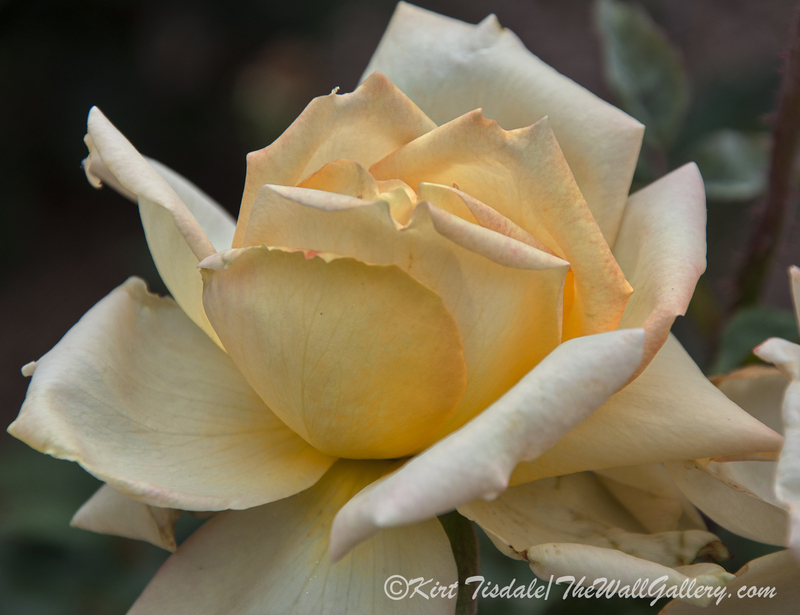 This capture was from the Territorial Rose Garden in Prescott, Arizona (as are the rest of the attached shots). 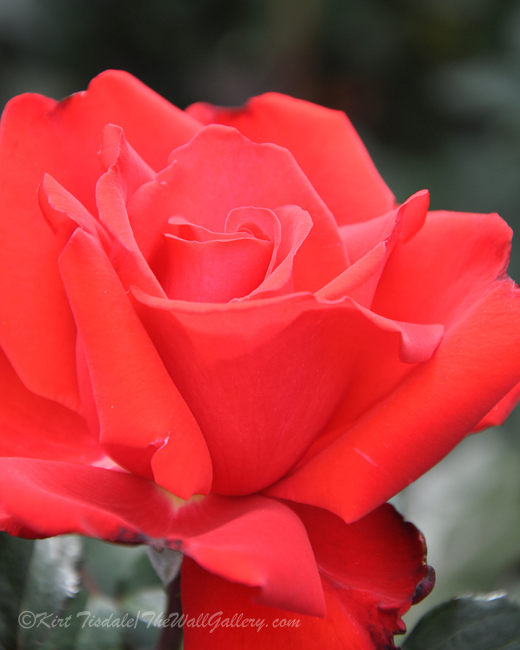 The bud was unfolding into a fuller bloom. Getting a tighter framing on this rose blooms pulls the detail of the rose petals into full view, even slight discoloration on a couple of the center petals. 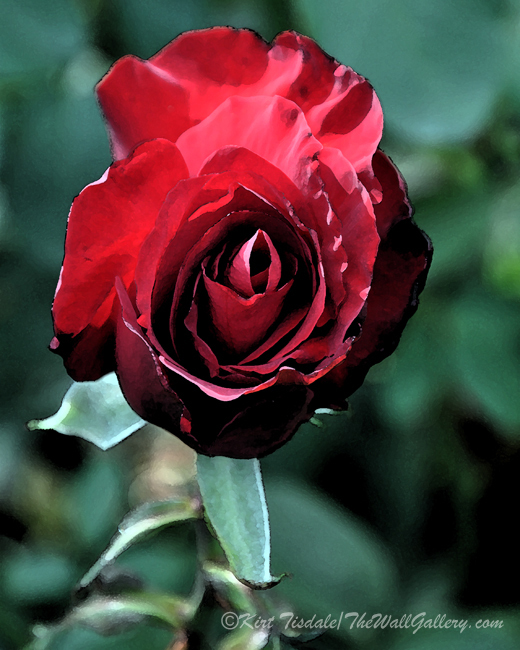 It truly looks like velvet with this deep red bloom. 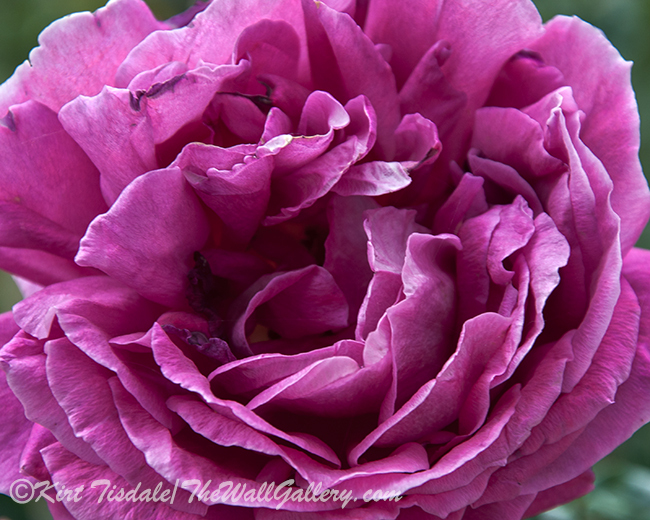 And finally this purple bloom as a macro brings out the laciness of the petal edges. 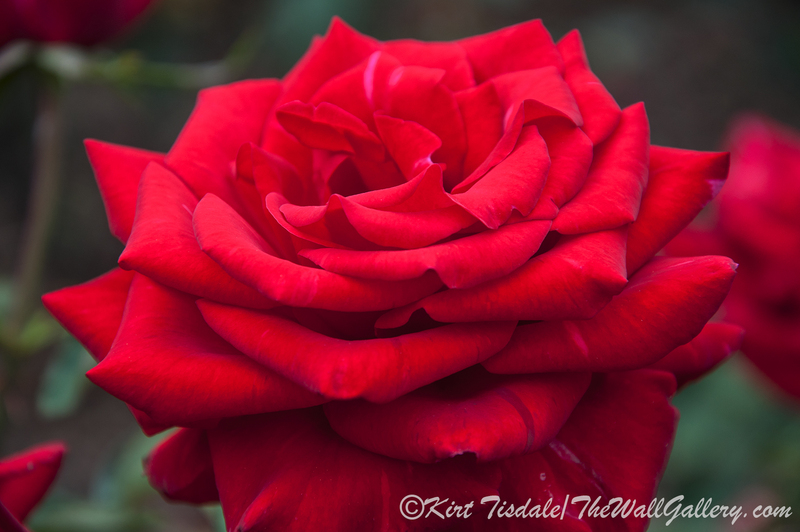 This entry was posted in Color Photography and tagged flowers, interior design, kirt tisdale, macro photography, online art gallery, photographer, rose blooms, rose buds, roses on April 27, 2018 by Kirt D Tisdale. This is the third and last post in a series about a weekend getaway my wife and I did to Prescott, Arizona in late October. 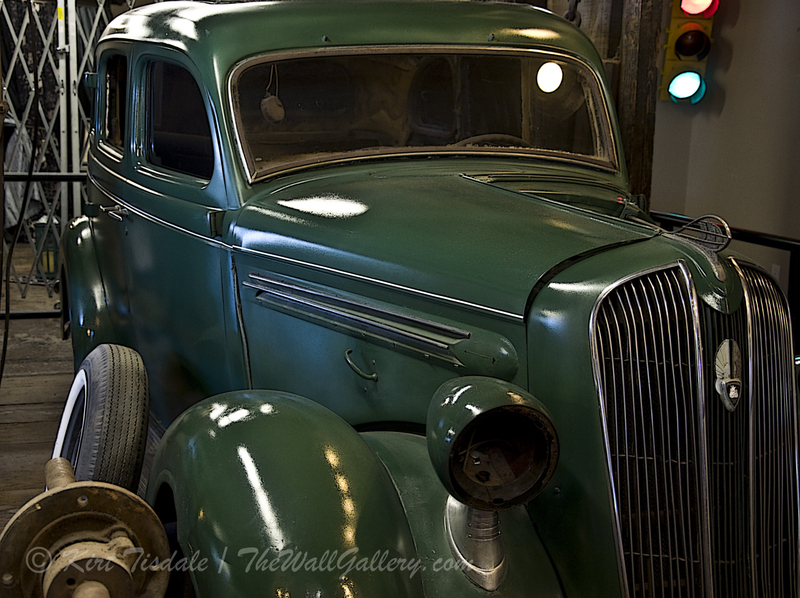 The series has focused on our visit to the Sharlot Hall Museum. 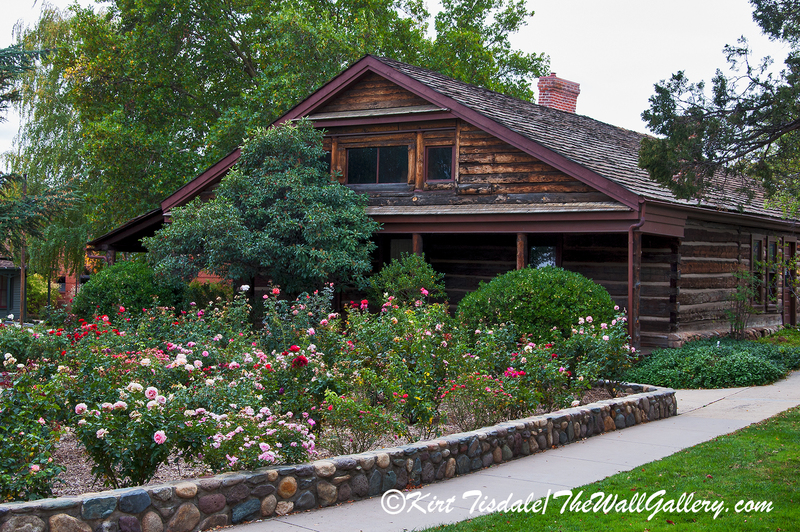 In the first blog, I included some shots of the log buildings that are on the grounds of the museum and the second blog focused on shots I took inside some of those log structures. 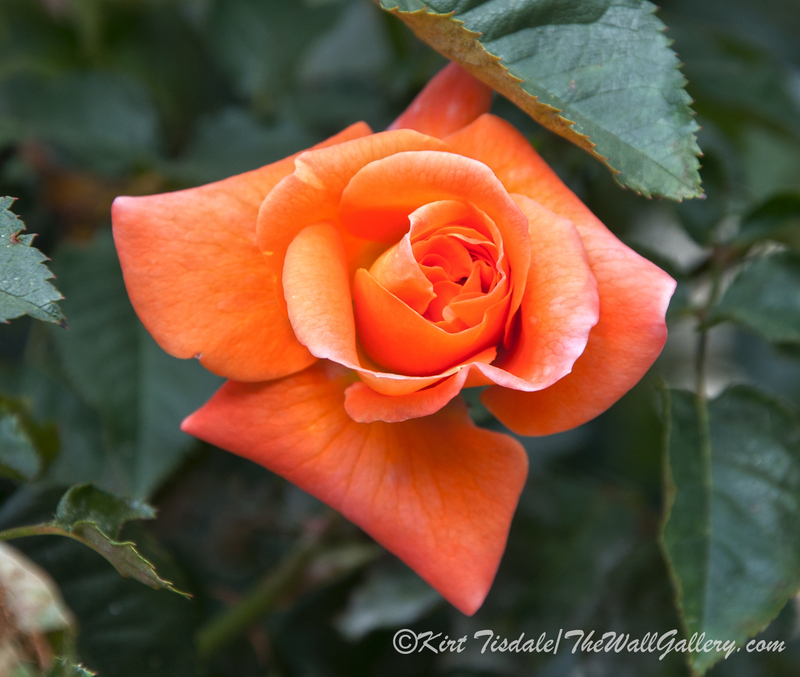 This last post is of the Territorial Rose Garden on the grounds. The garden was originally planted in 1948 on the south side of the Governor’s Mansion. In 1974, it was moved to its current location on the north side of the Governor’s Mansion where it can be seen from the street. We were fortunate in capturing the garden at its peak for the season as we head further into fall and winter. 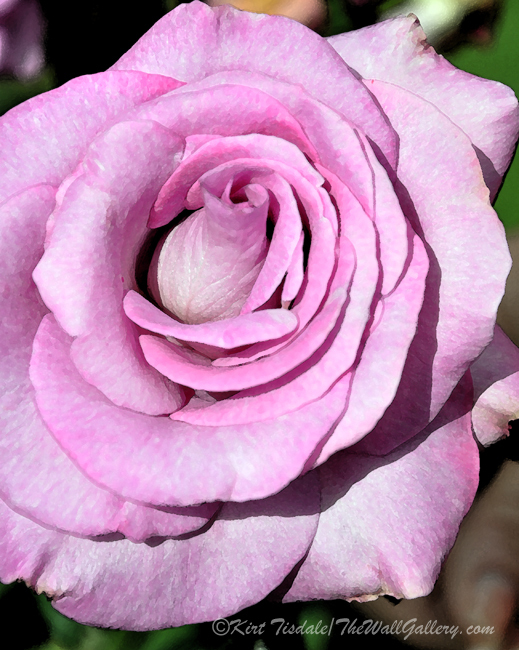 Enjoy these macro shots of stunning blooms from a beautiful rose garden. 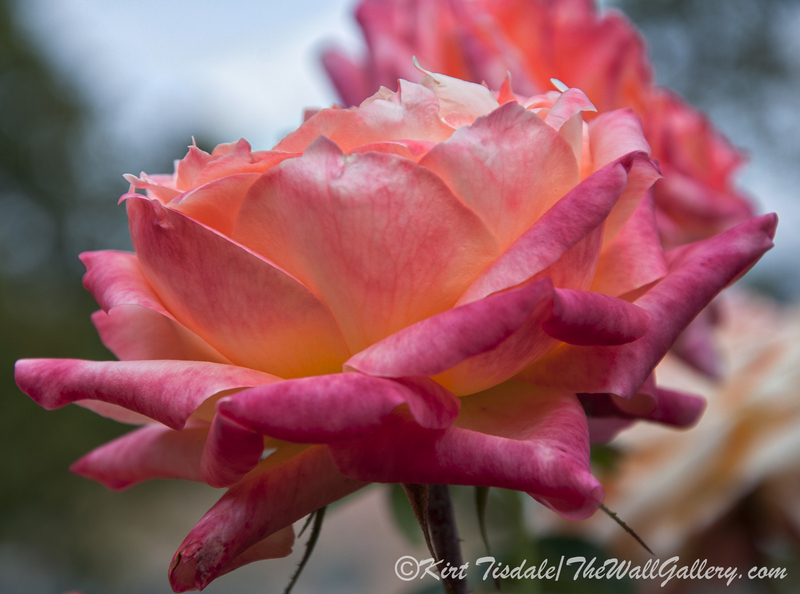 This entry was posted in Color Photography and tagged arizona, floral, flowers, kirt tisdale, photographer, prescott arizona, rose blooms, rose buds, rose garden, roses, territorial rose garde on November 15, 2016 by Kirt D Tisdale. 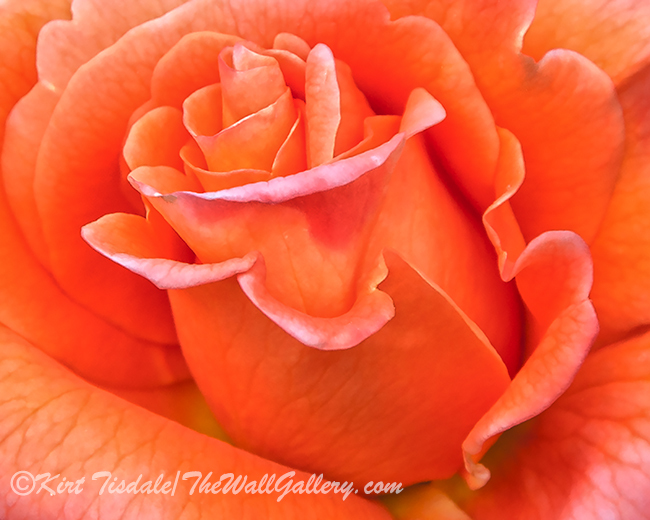 To finish the week as a feature from my Floral/Still Life Collection is “Candy Cane Rose Bud”. 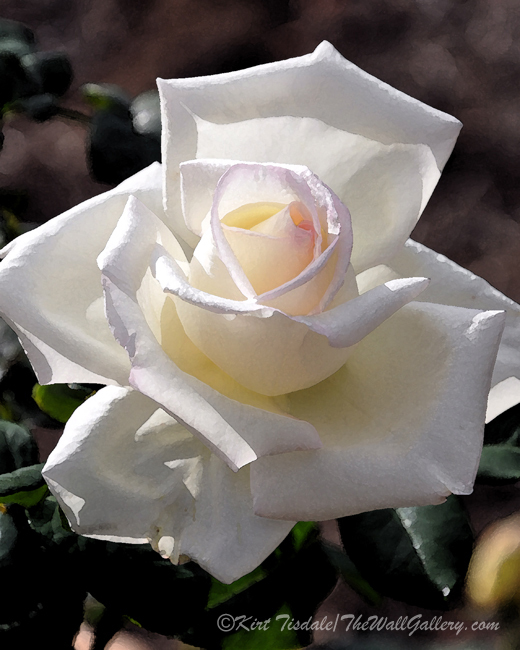 As the name suggests, this really is the name of the rose plant. The coloring of the flower is so unique and delicate in its appearance. 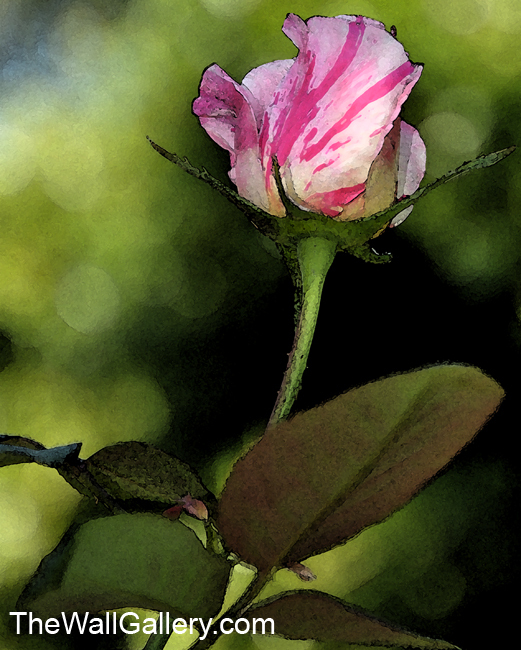 To support that look, I used a simple watercolor technique that creates softness in the shape and colors of this single rose bud. 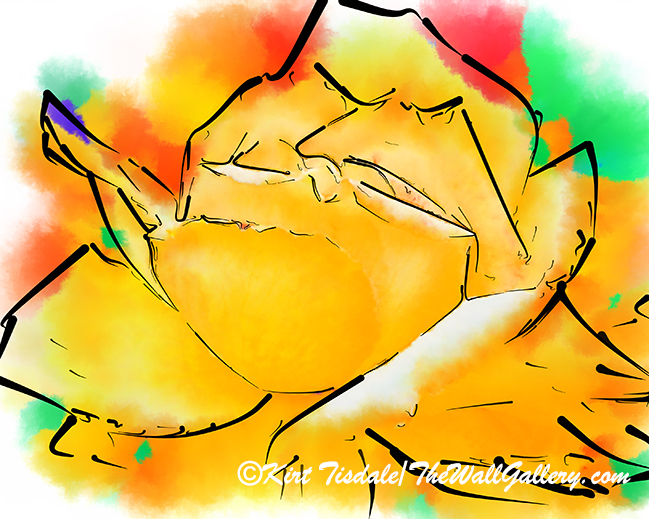 I outlined some of the detail, but not all and pushed the background into suggestive shapes and shades of green to keep this simple flower bud center stage. 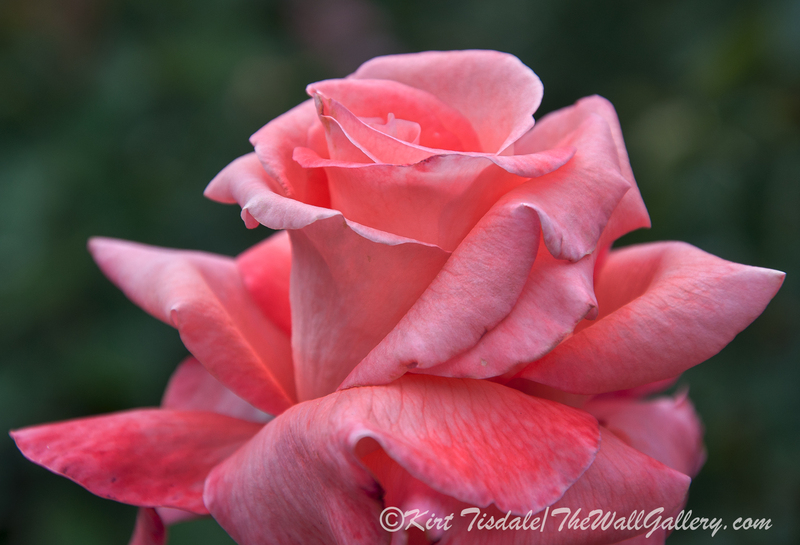 A rose-tree we had on our patio that produced these beautiful buds inspires it. Thoughts? 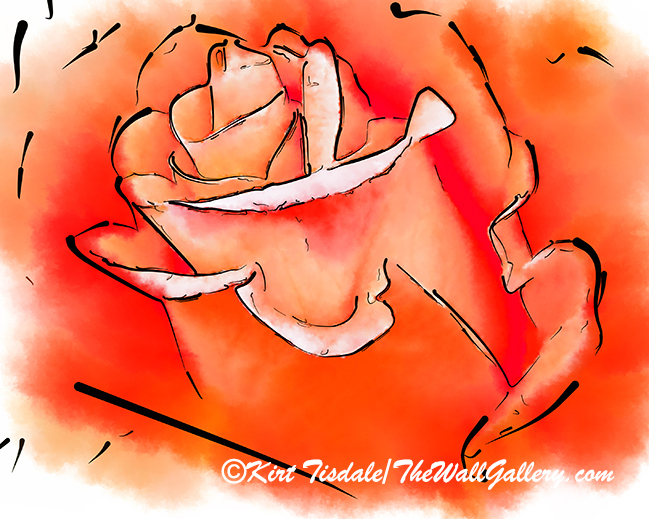 This entry was posted in Art Prints, Watercolor Painting and tagged artist kirt tisdale, floral, flowers, interior design, online art gallery, rose bud, roses, watercolor art on October 3, 2014 by Kirt D Tisdale. 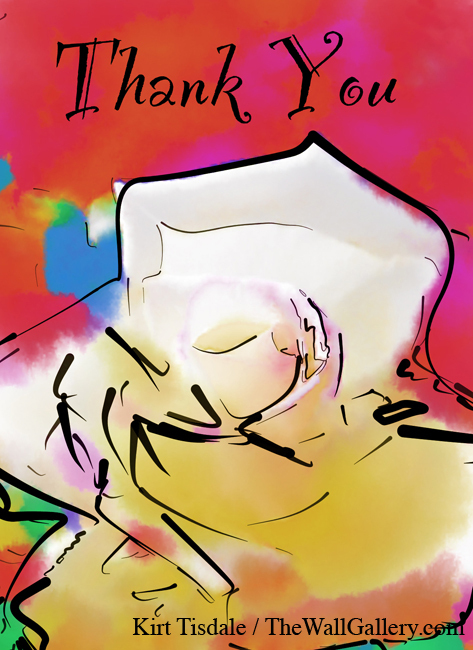 I have attached three art prints that I specifically created just for the Note Card Gallery as “Thank You Cards“. 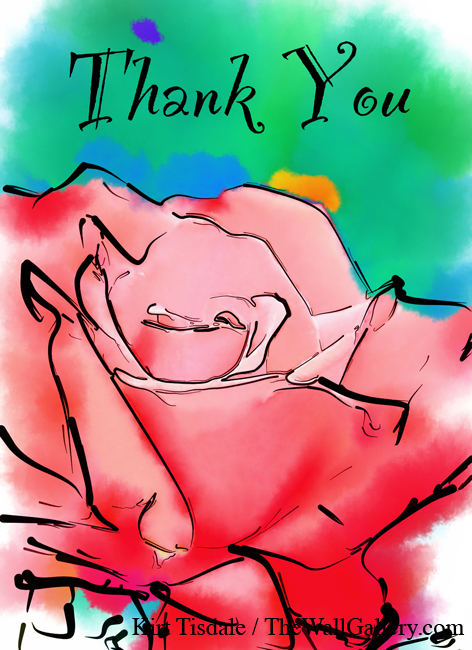 I then went back to the original pieces and decided I liked them as full size art prints and put them into the Floral / Still Life Gallery also. 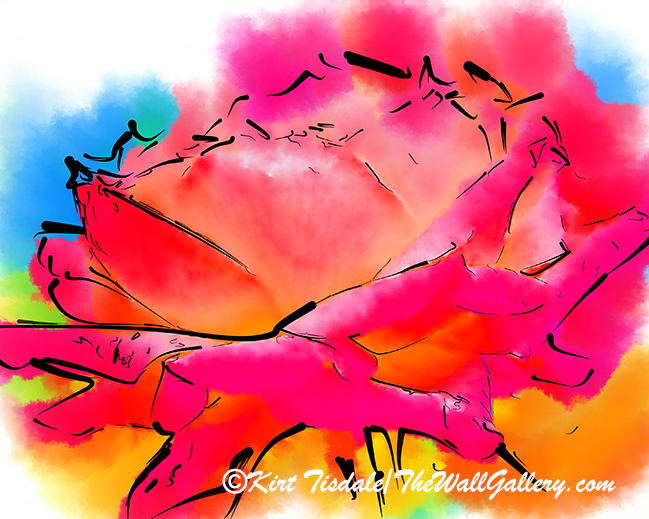 I refer back to my posting Roses – Featured Art Prints, those are the rose blooms these watercolors were based on. I used a technique that creates an almost abstract print, but the roses are well-defined and have a much softer whimsical look to them. Let me know what you think! I invite you to come into the gallery to view the new additions to the collection in the Note Card Gallery. 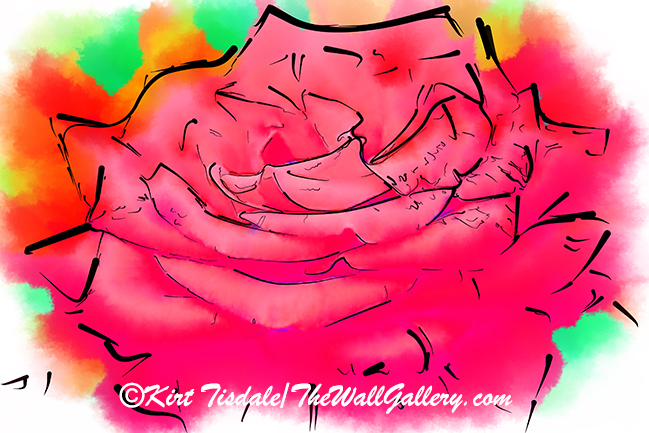 This entry was posted in Art Prints, Watercolor Painting and tagged art prints, artist kirt tisdale, notecards, online art gallery, rose blooms, roses, stationary, thank you cards, watercolor on May 23, 2014 by Kirt D Tisdale.